Founded in 1963, La Sentinelle Ltd is the leading media group in Mauritius. Its' activities expand in three sectors namely media, printing and distribution and logistics both regionally and internationally. More than a million people rely on La Sentinelle’s publications (Source: DCDM) for information each week. It is the country’s leading media group with some thirty print titles and on-line sites, the best known being l’Express, 5-Plus dimanche, Essentielle, Business Magazine, Weekly and Lacase. The La Sentinelle Magazines division markets publications offering fresh perspectives on business, fashion, design, travel, health etc, enhanced by unique product extensions. It is the leader in the publication of high-end lifestyle magazines which can easily stand the comparison with international products. lexpress.mu is the leading local news website, and lexpressproperty.com, the top local site for classifieds property ads, sitting side by side with lexpresscars.mu, lexpressclassifieds.mu, lacase.mu and findme.mu. The Group’s overall mission is to encourage the dissemination of progressive ideas and supply up-to-date, objective information. Through its publications, advertising hoardings and digital media, the Communication Unit is able to provide advertisers unrivalled visibility and exposure. Its main news website, lexpress.mu, attracts more than five million sessions a month. The site adds an extra dimension to developing news stories with the use of video, audio recordings, native advertising and photography. It also operates on all important media channels, including social media. In the same light, Eye Catch, the group’s advertising media offers outdoor advertising for a powerful branding impact. Acknowledged as the leading printing company in the Indian Ocean, Caractère Ltée not only has a highly qualified personnel but also operates with the latest technology enabling it to undertake both commercial work (magazines, brochures, books, calendars, etc. ), industrial work (light packaging, boxes, cases, bags, labels, food packaging, etc.) as well as flexography jobs (adhesive labels, PVC sleeves, flexible packaging, wrap-around labels for bottles, flour bags, tea bags, etc.). 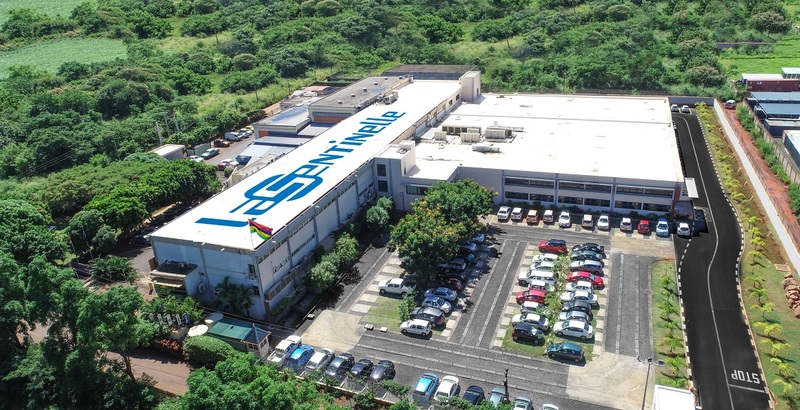 Since October 2017, La Sentinelle has taken a strategic stake in MC Easy Freight Co Ltd, one of Mauritius’ leading freight services providers. With this tactical move, the group can now complement the supply and delivery services for its printing activities. This integration opens up undeniable possibilities for growth in the future. Got an idea for a project, need a rate card or simply want to learn more about our products and services? We would love to talk to you. Drop us an email or give us a call or pop in to see us.